WEST BOYLSTON, MA U.S.A. (December 12, 2017) – Today Emuge Corp., a leading manufacturer of high performance taps, drills, end mills and other rotary tools, has announced the launch of a carbide step drill program that features new Drill–Chamfer tools available from stock in real-time online at http://www.emuge.com/products/drills/ef-c-drills. Users can quickly and easily select from a full range of stock sizes, including the ability to order customized lengths available in less than four weeks. “Our new EF Step Drill Program offers the industry’s largest stocked standard offering of cut and form tap diameter step drills, along with a quick delivery program for non-stocked lengths, providing unprecedented convenience for our customers’ full range of chamfering/ holemaking needs,” said Mr. Marlon Blandon, Thread Mills Product Manager at Emuge Corp. The EF Step Drill stock program includes an extensive range of sizes from 2.8 mm to 15.5 mm minor diameter, UNC/UNF (No.6-32 to 5/8-11), M/MF (M3 to M18), and a full size range in 2XD and 3.5XD lengths. Tools are coolant-thru, 4-margin design with TiAIN-T14 coating, can cut a wide range of materials and are available in cut or form thread diameters. 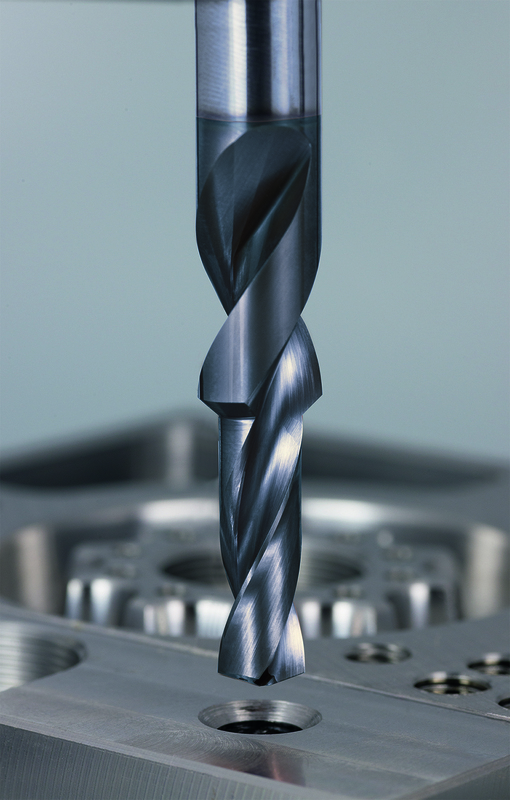 Users can view an online stock check portal at http://www.emuge.com/products/drills/ef-c-drills to order tools quickly, easily. The program is set up and running. For more information on the Emuge EF Step Drill program, contact Emuge at www.emuge.com..